BodySpec - Micronutrients: Are you getting what you need? You've probably heard of macronutrients or "macros" for short: they are carbohydrates, protein, and fat. In addition to macronutrients, we also need to consume micronutrients to survive and function optimally. You may know them by another name: vitamins and minerals! The micronutrients don't directly provide calories, but they have many other crucial roles. They are called micro‌nutrients because we only need them in small amounts. Minerals are inorganic compounds only found in the earth, meaning they cannot be synthesized by our bodies. Thus, it is essential that we acquire them through dietary sources. They are classified as "major" (including calcium, potassium and sodium) or trace (including zinc, iodine, and fluoride), depending on the quantity we require. The most common mineral deficiencies are of iron and calcium, leading to anemia and bone loss respectively. Vitamins are organic compounds that are crucial to digestion, metabolism, immune function, healing from injuries or surgeries, vision, healthy skin, and much more. They are classified as fat soluble (A, D, E, and K) or water soluble (the B complex vitamins and vitamin C). This is an important distinction, because fat soluble vitamins can accumulate in our bodies and be stored in the liver for later use, whereas water soluble vitamins are flushed out much more quickly. Water soluble vitamins are also more easily destroyed or lost in food storage and preparation, which can put us at higher risk for deficiencies. Worldwide, there are major problems with micronutrient deficiencies in developing countries. Iodine deficiency causes goiter and developmental problems; zinc deficiency exacerbates diarrheal diseases in children; lack of iron causes anemia; and low vitamin A is the number one cause of blindness worldwide. However, a healthy adult living in a developed country with access to a varied food supply is unlikely to have a clinical micronutrient deficiency. One reason is that public health agencies take steps to avoid population deficiencies such as adding iodine to salt, adding fluoride to the water, and encouraging pregnant women to supplement their diet with folic acid. 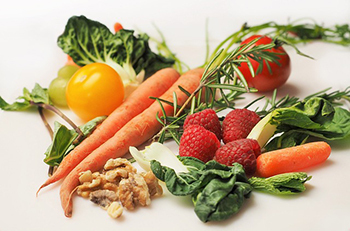 However, many of us may have subclinical deficiencies of various micronutrients, and might benefit from working to boost those levels in our diets. Be aware that there certainly can be detrimental effects to over supplementing, so it's always important to talk with a doctor or registered dietitian before taking high doses of any supplement. The best way to ensure adequate levels of micronutrients is always a good diet, including plenty of fruits and vegetables. However, with the CDC estimating that only about 10% of the US population consumes an adequate amount of fruits and vegetables, it stands to reason that many people are at risk of vitamin and mineral deficiencies. You can reference the Institute of Medicine's minimum and maximum recommended amounts (Dietary Reference Intakes or DRIs), and learn much more about each micronutrient here. With that said, here are a few notable vitamins and mineral that you may benefit from enhancing in your diet. Click each heading to view the NIH fact sheet for even more info! For fitness buffs who enjoy killer workouts and want to rebuild those aching muscles: zinc is a critical piece of that process! Zinc is needed for protein synthesis throughout the body, as well as immune function, wound healing, DNA synthesis, cell division, and more (as many as 100 enzyme reactions in the body require zinc as a co-factor). Over the counter products containing zinc include cold lozenges (immune support) and zinc creams for the skin (healing and protection of dermal layers). As for dietary sources, oysters contain an exceptionally high level of zinc, followed by red meat and poultry. Vegetarians may benefit from supplementing zinc, due to a lower absorption from grain and bean sources. Crucial for thyroid hormone production, as well as reproduction and DNA synthesis, selenium is a trace mineral that is easily neglected in our diets. The highest levels are found in seafood and organ meats, both of which are not generally consumed in high quantities by the average American. However, there is one easy food item that is packed with selenium: brazil nuts. 1 ounce (6 to 8 nuts) of brazil nuts contains around 500 mcg of the mineral, and the average daily requirement for an adult is 55 mcg. Just a few brazil nuts a day should ensure you are meeting your selenium needs. If you have a personal or family history of thyroid disorders, talk to your doctor about supplementing with selenium. Ah, the sunshine vitamin. This crucial vitamin is needed for bone growth and to prevent bone diseases like rickets and osteoporosis, plus other roles such as immune function and reducing inflammation. This unique vitamin can actually be synthesized in large quantities by our skin when exposed to adequate UVB rays. However, now that we know to apply our sunscreen liberally and wear our hats religiously to avoid skin cancer (plus other factors like pollution in cities and less outdoor time in general), our vitamin D levels have plummeted. An estimated 50% of the worldwide population is currently vitamin D deficient - that is around 1 billion people. Vitamin D is not naturally found in many food sources aside from fatty fish like salmon or swordfish, but it is commonly fortified in dairy products, orange juice, and cereals. 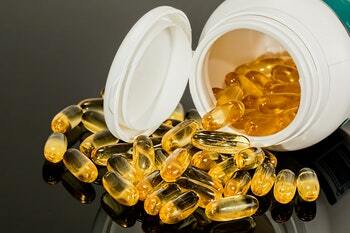 Ask your doctor to test your vitamin D status, and discuss if supplementing is right for you. This water soluble vitamin is important for red blood cell production, maintaining the nervous system, and DNA synthesis - talk about crucial! 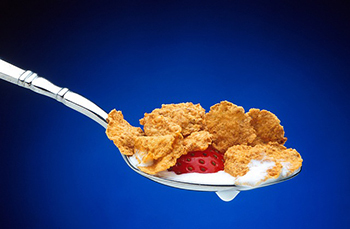 B12 is naturally found in animal products (fish being the most concentrated source, with dairy products and chicken/beef containing lower levels), and is commonly added to breakfast cereals. If you don't eat animal products or fortified breakfast cereals, you might consider taking a B12 supplement. Health or weight loss clinics often offer B12 injections as a way to lose weight, have more energy, or other unsubstantiated benefits. B12 shots are only effective for those who are severely deficient, so save your cash and check with your doctor first. Stomach acid or ulcer medications as well as the diabetes drug Metformin can also seriously impede the absorption of B12 and may require monitoring of your levels.